@acpart - Sean is looking for your assistance. Here I am! I'm not a vet and my eyes are old. I also can't see the second picture. It does seem that there's a bit of swelling in the corner of the eye. I'm not qualified to diagnose it. It could be the result of a tiny piece of shed or some kind of abscess. If you have a magnifying glass, take a look at the eye and see if you notice any tiny pieces of shed. In any case, I think the gecko will need a vet visit. If it's an infection the gecko will need either eye ointment or oral antibiotics and that can't be prescribed without a reptile vet seeing the animal. How much do you think would a vet trip cost? It depends if it just Vist or Vist pluse medicine. Mine is about 60 see her, pluse medicine if you need them. How is eye now ? 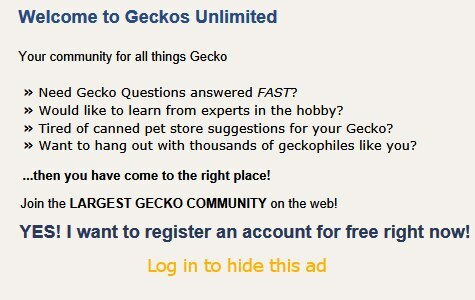 How is your geckos behavior? It is still puffy but he ate today and he is still active.20180510_111305.jpgAnd can you tell what morph he is ? Last edited by reptilelover247; 05-12-2018 at 04:56 PM. Superhypo tangerine baldy. One could think it's a blizzard or patternless, but I can see the faded original bands. I just went to the vet and he had an abscess ,they gave me medicine for him and said to give it to him through his mouth ,could you give me some suggestions of how to do that?